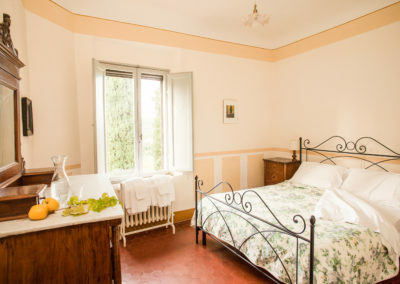 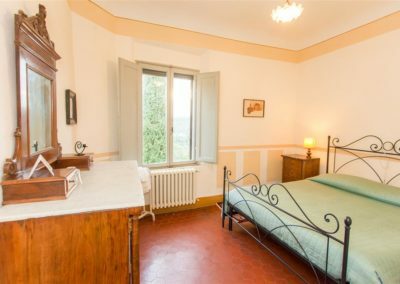 This room includes two single beds that may be combined into one King-sized bed. 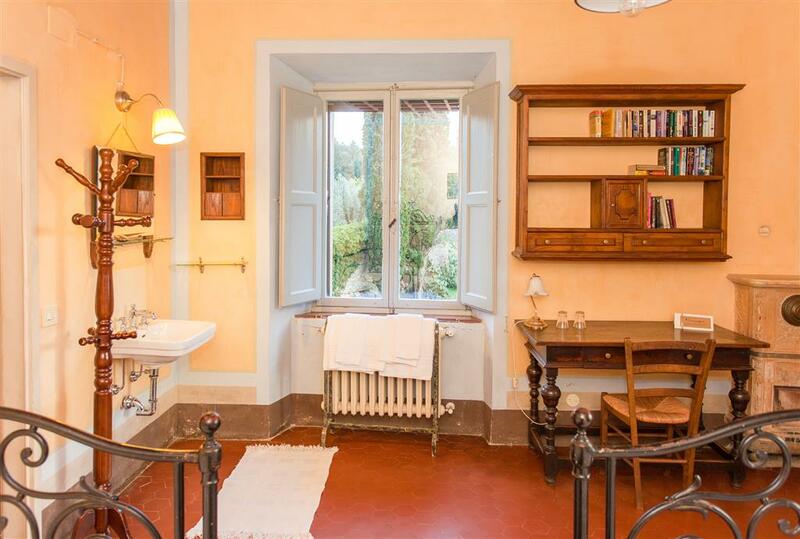 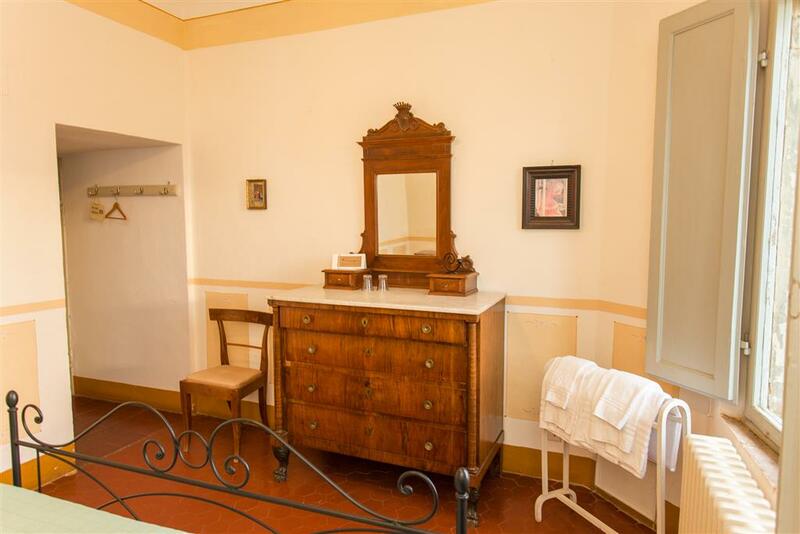 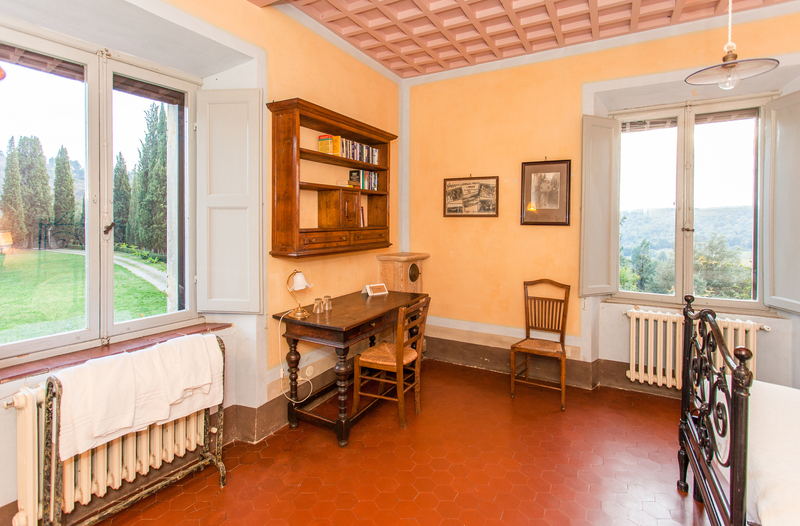 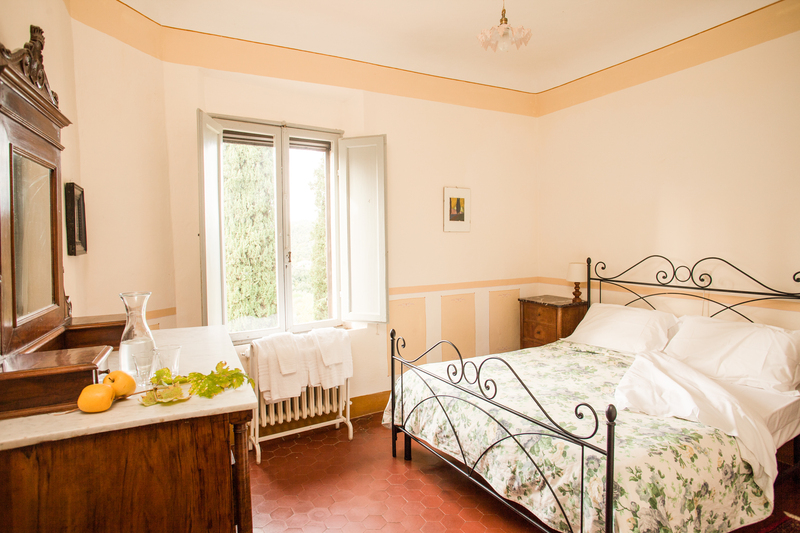 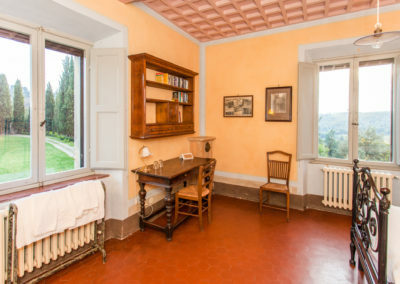 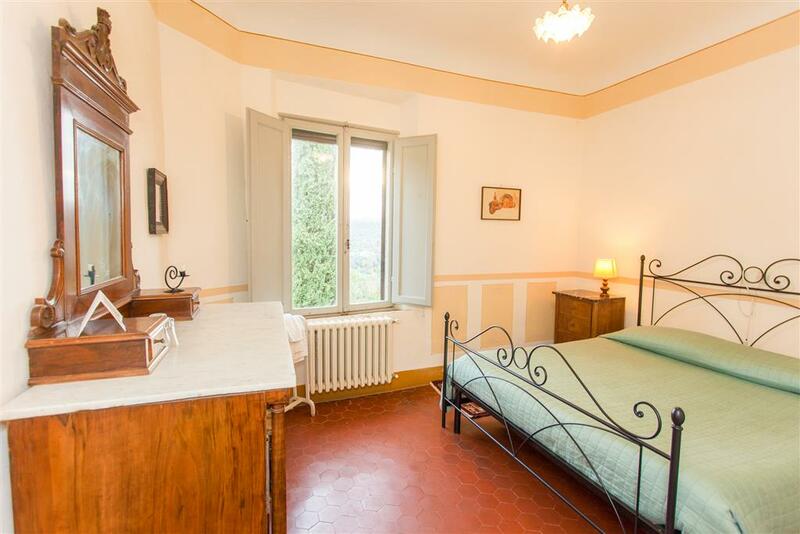 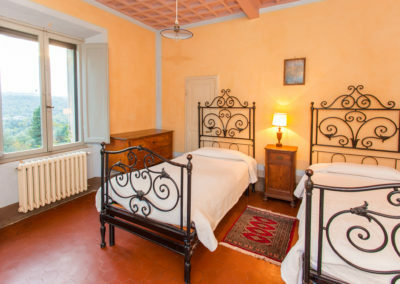 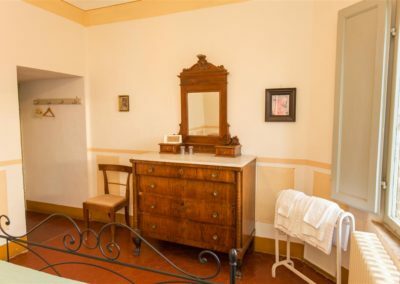 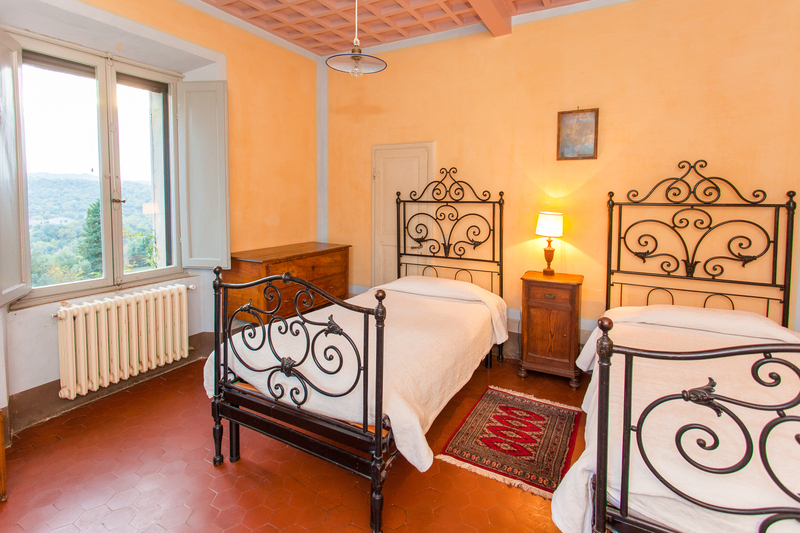 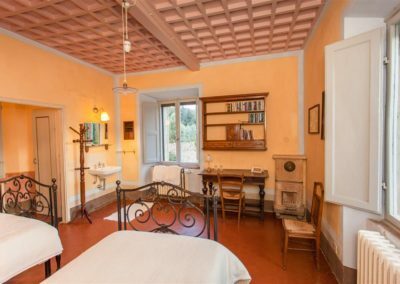 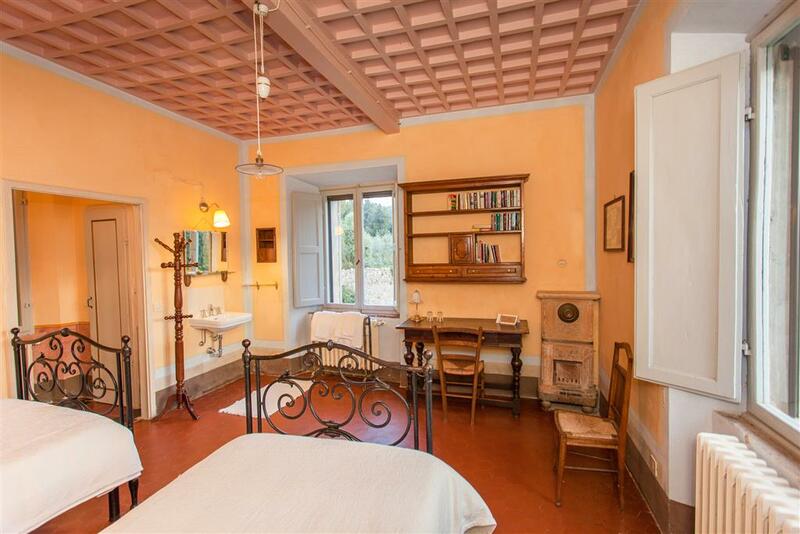 It features a coffered ceiling, antique (non-fuctional) woodstove, and views of Spannocchia’s gardens. 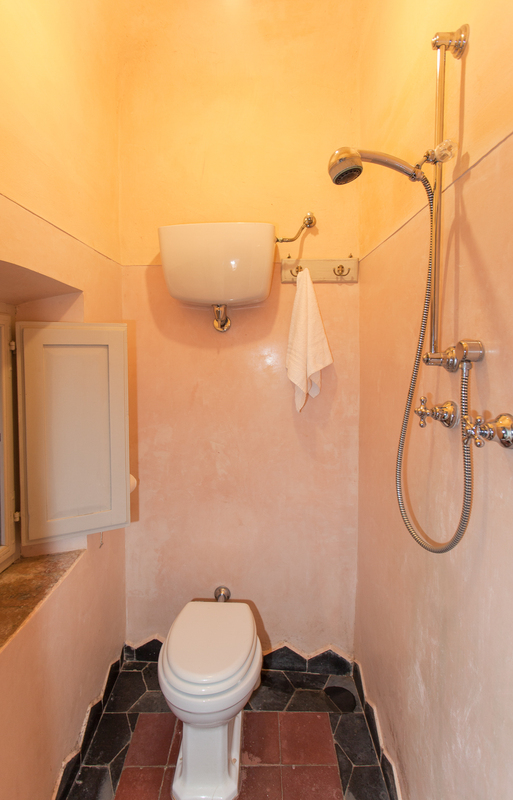 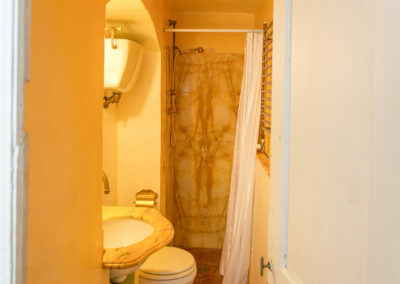 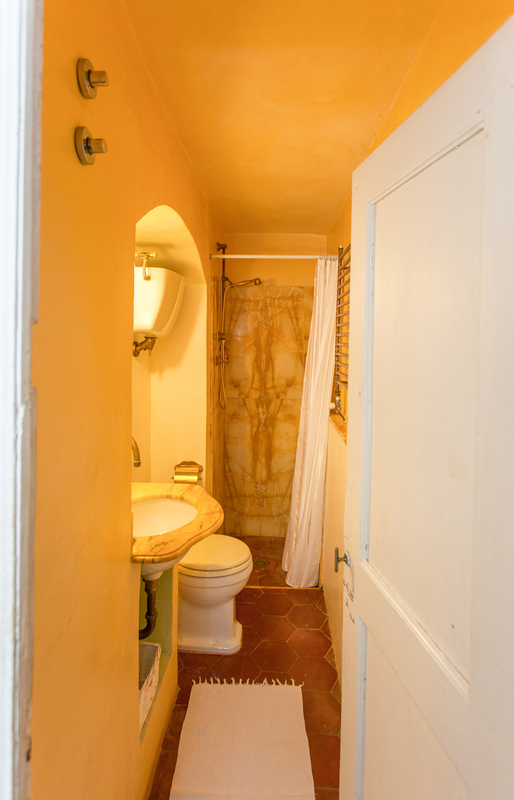 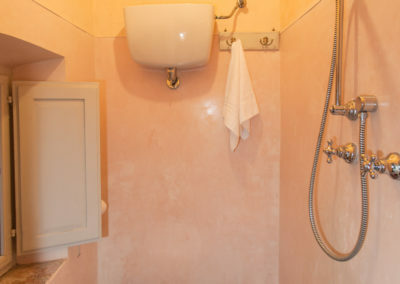 The private, full bathroom is located directly across the hallway and contains a sink, toilet, and combined bathtub with showerhead.